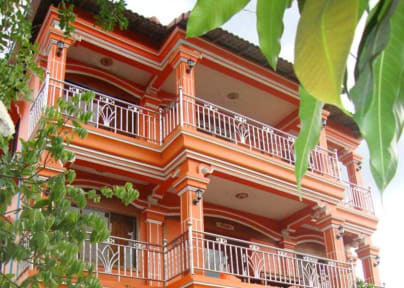 This guesthouse is in a quiet nice place, but just a few minutes walking away from the center. 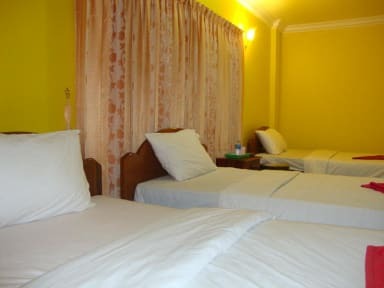 The staff was very nice and always willing to help us, for example with bookings. Also we could rent bicycles and it turned out to be great to visit Ankor and the surroundings of Siem Reap by bicycle. The room was clean and big and the breakfast good. Only downside was the matrass: it was very very hard.